Maple Banana Nut Bread Recipe – Featuring Products from iHerb. Find out more and see this must-make fall and holiday recipe! Triple Guarantee- they want customers to be 100% satisfied with purchases. iHerb guarantees best value, authentic brands sold in the U.S. market and quality assurance, and free or discounted shipping. iHerb ships to over 150 countries, so if you’re reading from outside the U.S., you can still shop at iHerb! They have a shipping guarantee, no excuses. California Based- iHerb is located in the U.S.A and ships worldwide. You can find over 30,000 name brand products. For out of state orders, find shipping information easily here. For this recipe I used several products from iHerb. Organic Maple Syrup is essential for the flavoring of this bread, so I had to have that. After looking at the ingredients (along with all those preservatives) for regular breakfast pancake syrups, I am glad to have this Coombs Family Farms Maple Syrup in my pantry now! 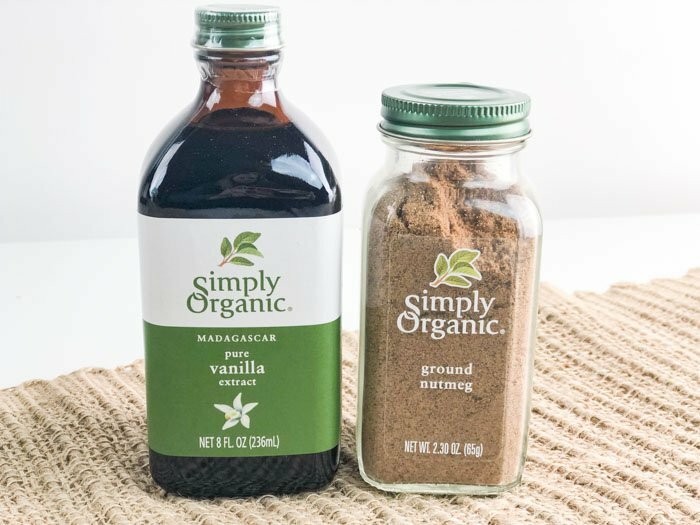 I also got Simply Organic Vanilla, Nutmeg and Cinnamon. It’s nice that you can find spices on iHerb, since my natural and organic grocery stores will often be out of a particular item I need. 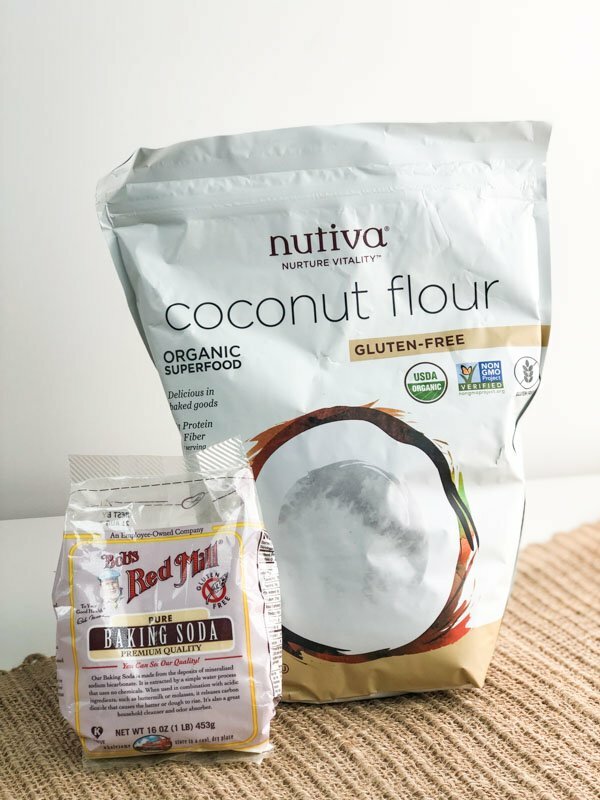 Bob’s Red Mill Baking Soda and Nutiva Coconut Flour were also on my list. 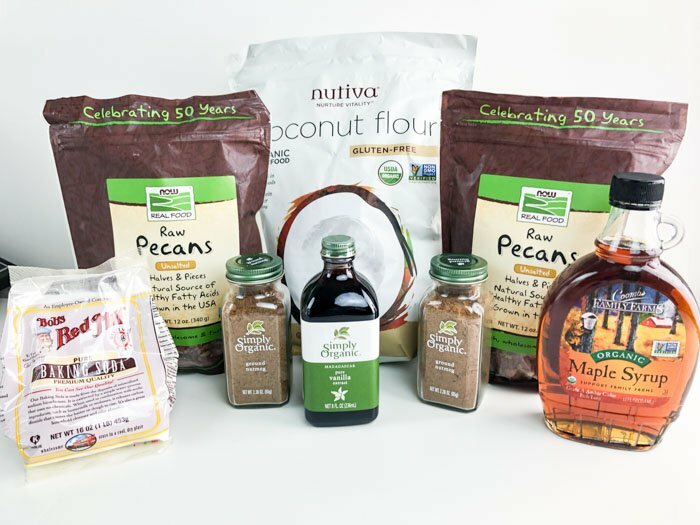 I love having low carb flours in the pantry for a lower carb substitute for all purpose flour. 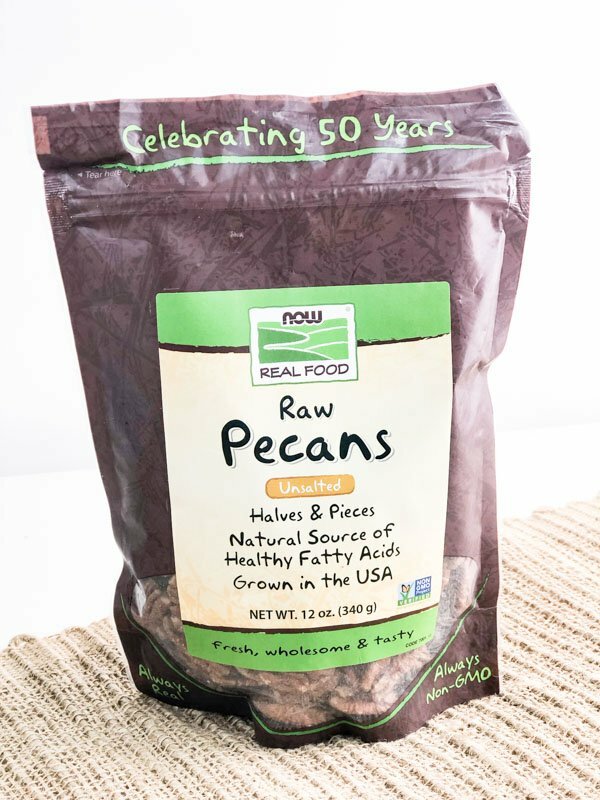 Finally, I added Now Real Food Raw Pecans to my basket. These unsalted halves and pieces are great for cooking, and the larger bags last a while. 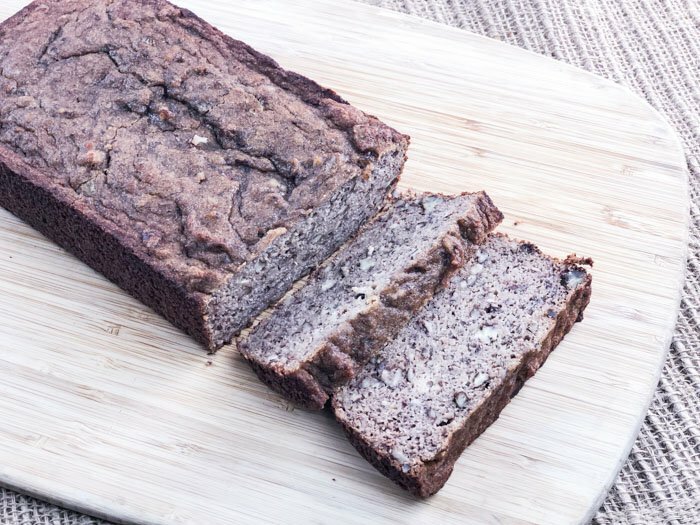 This Maple Banana Bread recipe is a nice one bowl recipe. I whipped it up in no time using my KitchenAid Mixer, but you can just use any good mixing bowl and spoon. I put my entire mix into a well greased loaf pan and into the oven to let it do its magic. 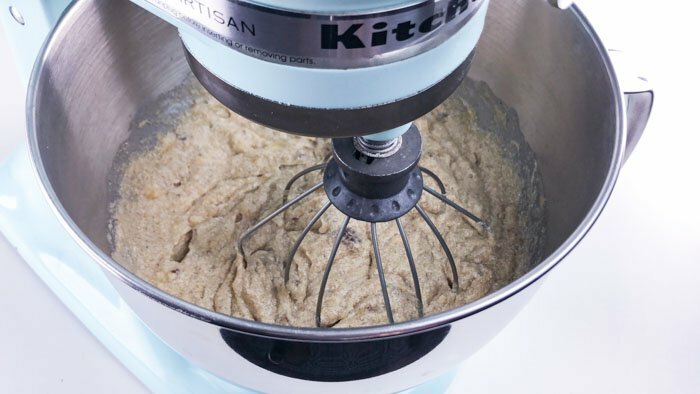 Who doesn’t love that banana bread smell?! It’s just heavenly. Even if you don’t care for bananas, that smell just warms up the house this time of year. Delicious! I like to let any bread sit and cool for a while before slicing. It gives the bread a chance to really come together after cooking and seal in the moisture after cooking, so you don’t get that crumbly texture. This bread loaf is not very sweet, so it’s great for a breakfast or brunch. If you prefer to double the recipe, gift one to a neighbor or friend for Christmas! It’s also incredibly moist so if you want to store any leftovers in an air tight container I recommend using paper towels for layering to soak up any extra moisture that is created when stored. Right now, you can can get a discount off your iHerb order. As a new customer, you can save $5 off your minimum $40 order when you shop through my affiliate link (no extra cost to you). Just click here to order! Savings are automatically applied at checkout. This is a not-too-sweet quick bread. It's an essential fall and winter comfort food, and of course will use up any bananas you have! Perfect for breakfast or a snack! Preheat the oven to 350 degrees ºF. You will start by combining all of the ingredients till blended well on medium speed. I use my Kitchenaid Mixer. Making sure to allow the coconut flour to soak up all of the liquids. Bake for 45-50 minutes. You can test with a tooth pic to make sure it comes out all clean. Allow bread to set and cool slightly before removing from pan so that it doesn't break apart. You can use 2 large bananas or 3 smaller ones for this recipe. I just used what I had in the kitchen, so amounts may vary slightly. 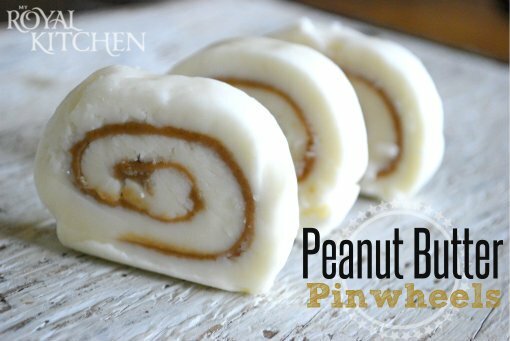 These Peanut Butter Pinwheels Candies are good enough to settle any sweet tooth cravings. They are perfect for gift giving or for any Holiday parties. Make a batch and make someone smile! I love making bread. Ill have to try this one! Looks yummy! I need to try the coconut flour. Perfect recipe for the holidays! 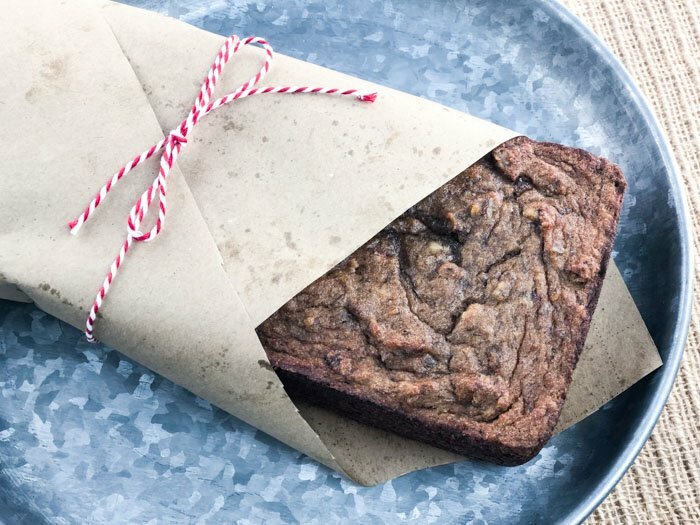 This recipe would be perfect for the gluten free christmas party, and to use up some of the bananas that stick around a day longer than needed. I like that you use coconut flour in this recipe. Looks delicious! I’ve never heard of iHerb, thanks for sharing! Looks so moist and yummy! A great recipe to give to neighbor’s for Christmas or anytime! Can’t wait to try it. YES WHAT A GREAT GIFT IDEA!